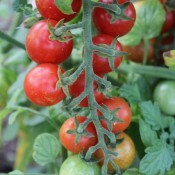 Tomaccio is a unique, indeterminate, gourmet sweet raisin tomato variety developed through 12 years of breeding work using wild Peruvian tomato species. It was bred to be a vigorous, high-yielding and is excellent for snacking fresh or dried. The fruit skin is fairly thick and highly porous, which allows for easy drying. 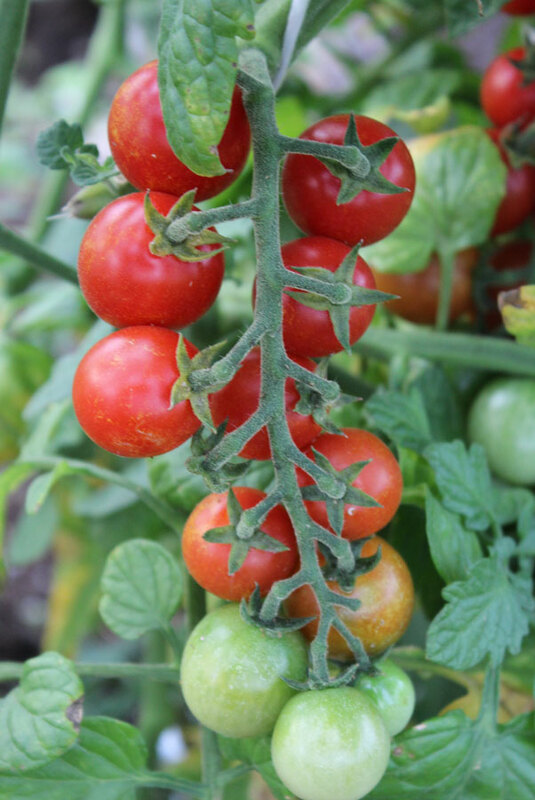 This tomato has robust growth and bears prolific clusters of super sweet fruit. For best fruit set, pinch off suckers to promote one central stem. Remove first flower cluster from plant to ensure strong growth and maximum yields. For best results, plant Tomaccio plants into large containers (2 gallon or larger) or directly into fertile soil in the garden. Plants grown in small containers can be prone to fruit cracking issues. With ideal growing conditions, Tomaccio can reach 9 feet tall or more and thus requires sturdy staking. 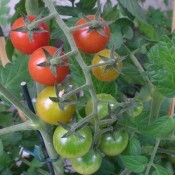 For best quality of tomatoes, pinch out suckers and secondary shoots every week to maintain one central main stem. Though the initial fruiting will be slightly delayed, removing the first flower cluster from plants before they set fruit helps ensure strong early growth and maximum yields. 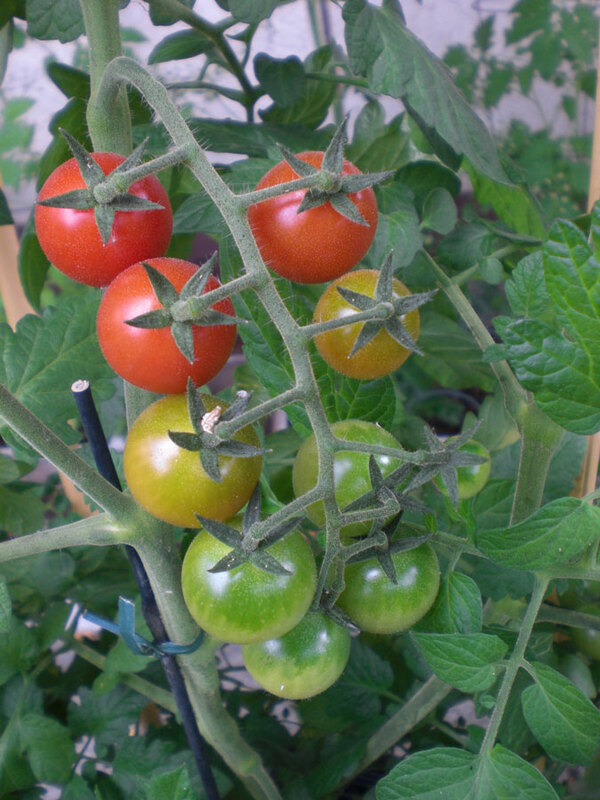 The Tomaccio fruit is ready for harvesting when the fruit begins to turn red. Early harvesting reduces issues with fruit cracking, but does not diminish the flavour. 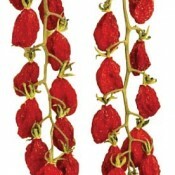 For “raisin tomatoes”, dry in a dehydrator or in a oven at 150-200°F or 66-94°C for approximately 2 – 3 hours. 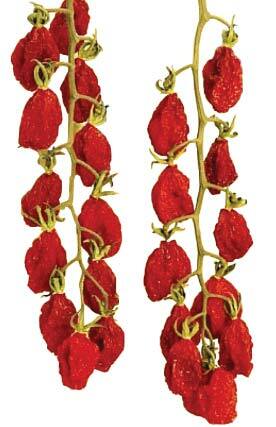 For best results, allow fruit to “dry” or “wrinkle” on the vine naturally before harvesting and drying. The dried fruit can be stored long term in a sealed container placed in the refrigerator or freezer.